One Saturday afternoon, nag-feeling chef ako...feeling lang. 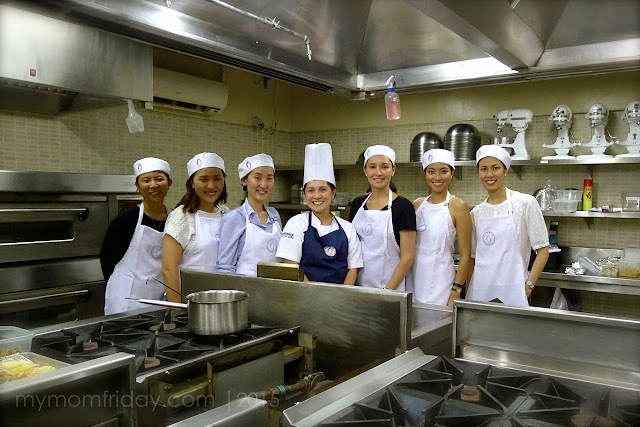 =) It was an exciting, exhausting, yet super fun learning experience being in a professional kitchen with some of my fellow SoMoms. 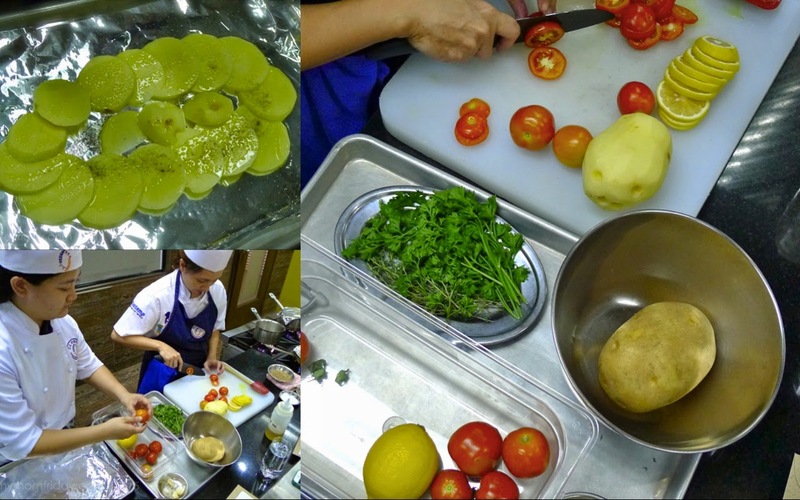 We have to thank Global Academy for this unique cooking workshop especially prepared for us. 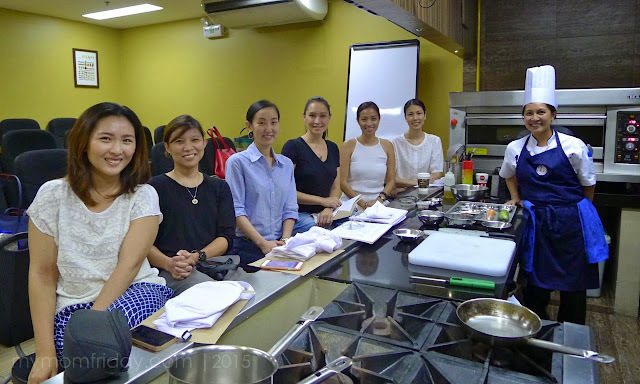 It was definitely a kitchen adventure for the six of us who took the cooking challenge. Global Academy's mission is to provide students with relevant education and professional training at modest rates in order to prepare aspiring chefs and industry professionals for the growing opportunities of the international culinary and hospitality industries. Founded by Chef Rob Pengson and Chef Benjamin Ledesma in 2007, Jr., Global Academy is continually seeking ways to improve itself and the industry by investing in the growth of their chefs by allowing them to compete internationally and by letting them have their continuing education so as to further hone their skills and knowledge. The SoMoms Workshop was held last May 16 at the Global Academy branch in Ortigas Center, Pasig City. The workshop was a half day session with three recipes that were demonstrated first by Chef Erika de Leon, and we are expected to replicate all the dishes. That's our challenge! 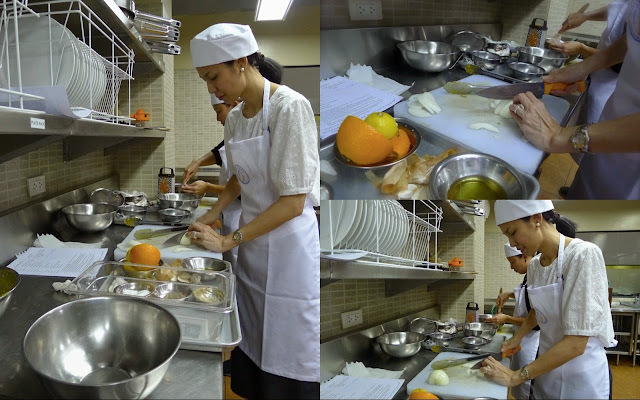 We were led to the demo and lecture room first where Chef Erika gave each of us our recipe sheets, then showed us the step-by-step process in making each dish. Today's feature will focus on showing you how a typical demo and workshop are conducted at the Global Academy, and the tips and trick I learned during the class. First, chef presented the mise en place and proceeded to demo how to properly grate the veggies, chop the ingredients, roast nuts, mix, and portion. 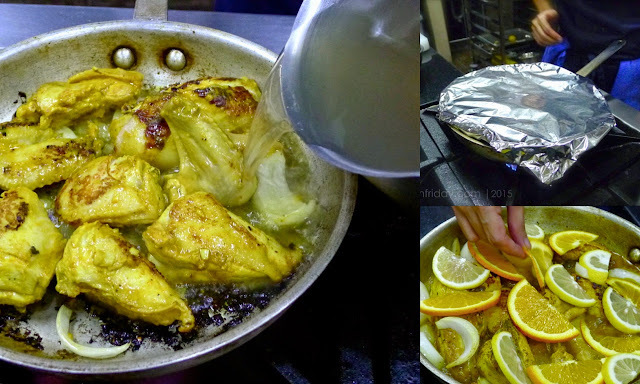 Cutting and cooking the chicken. 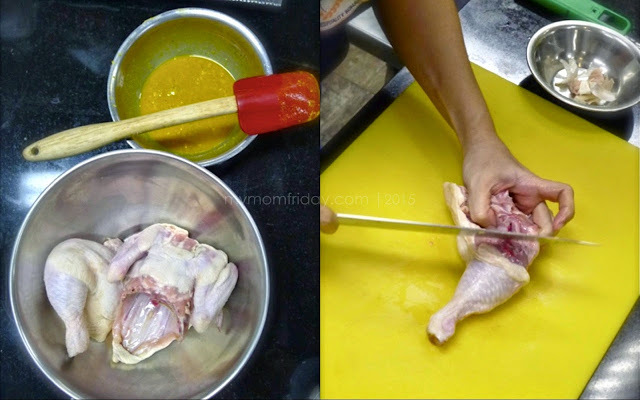 Using a whole dressed chicken, chef Erika showed us how to chop and section the different parts, how to season and sear, deglaze and plate. 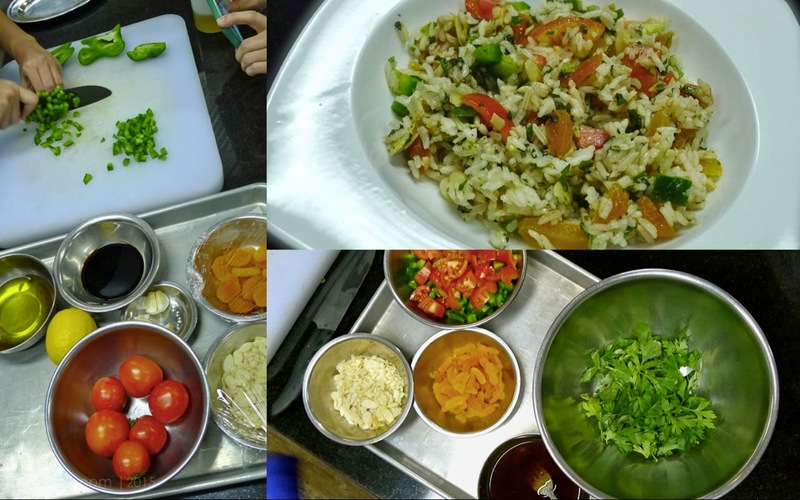 The variety of veggies needed for the pilaf will take some time to prepare, so having the right tools and techniques will help speed up prep time. Gutting and roasting a whole fish. The first step is cleaning and gutting a fish -- this was a large fish! Chef Erika did a step-by-step from cleaning to stuffing and seasoning before it went into the oven. The hard and sharp dorsal fins proved to be a challenge to cut! Before our class, we were asked if we knew how to gut a fish. 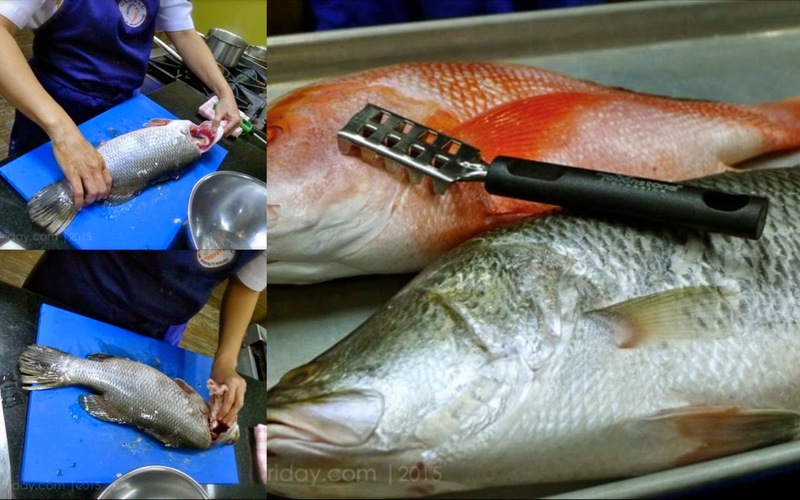 I know how, but I haven't tried gutting a large fish like this... hanggang tilapia lang ako, heehee! 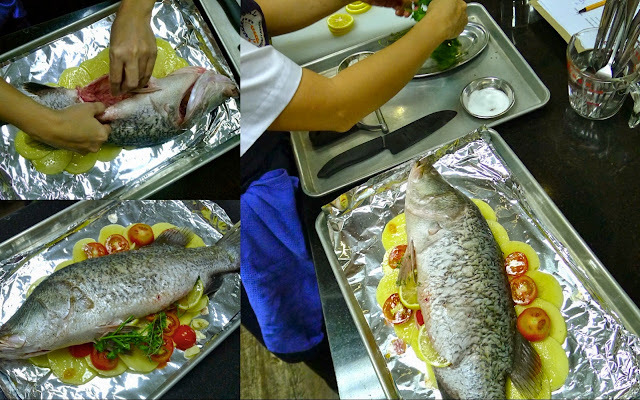 We did not expect this size of fish to be cooked, so initially, we were all willing to try and clean our own fish. After all the dishes were done and plated, it was our turn to cook everything -- in the big kitchen. It was quite intimidating. 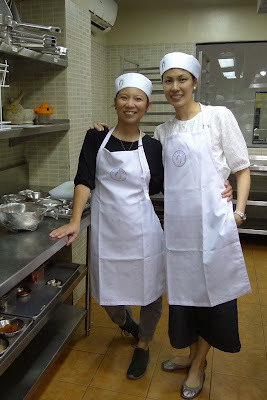 We each had an apron and cap. Since there was not enough time left to prepare and cook everything, the kitchen staff helped us by cleaning/gutting the fish and cutting the chicken for us. We were all relieved, hahaha! 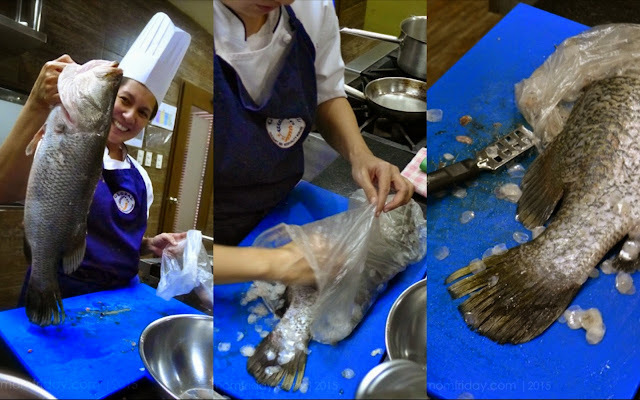 Those are the most challenging kasi, and after the demo, no one wanted to try cleaning the jumbo fishies and chopping chicken anymore, heehee! We worked by pairs and was assigned our own station in the kitchen, complete with all the tools and ingredients per recipe. Manila Mommy Neva was my cooking buddy that afternoon. 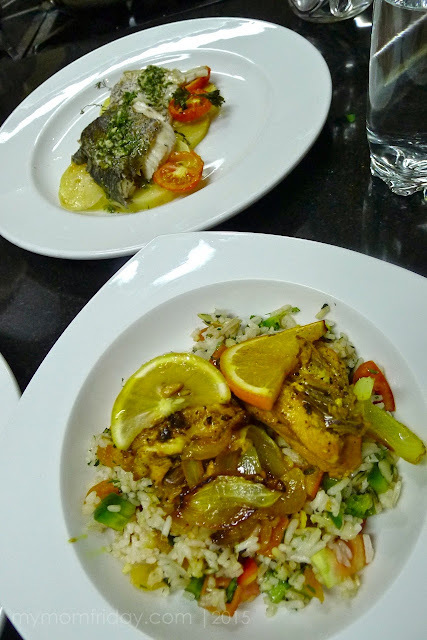 Three dishes to prepare, plus the mediterranean rice pilaf for the chicken, so we divided the work between us: Neva prepared the muffins, while I started with the marinade for the citrus chicken. 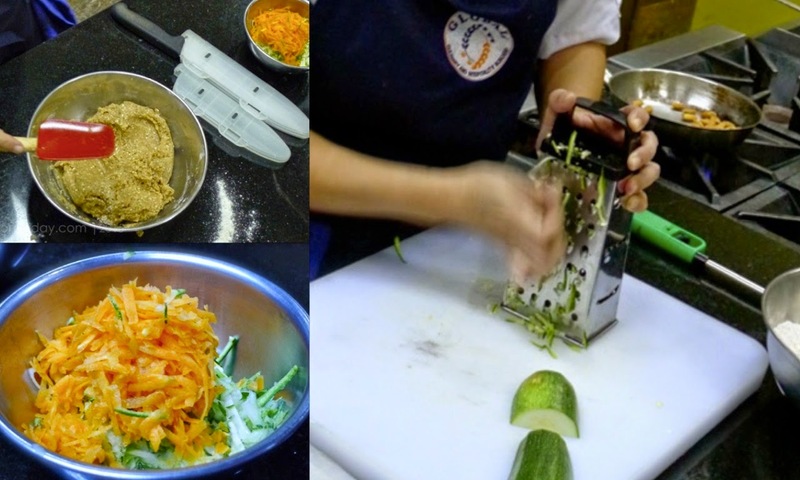 We all did the slicing, grating, and cutting of the fruits and vegetables. 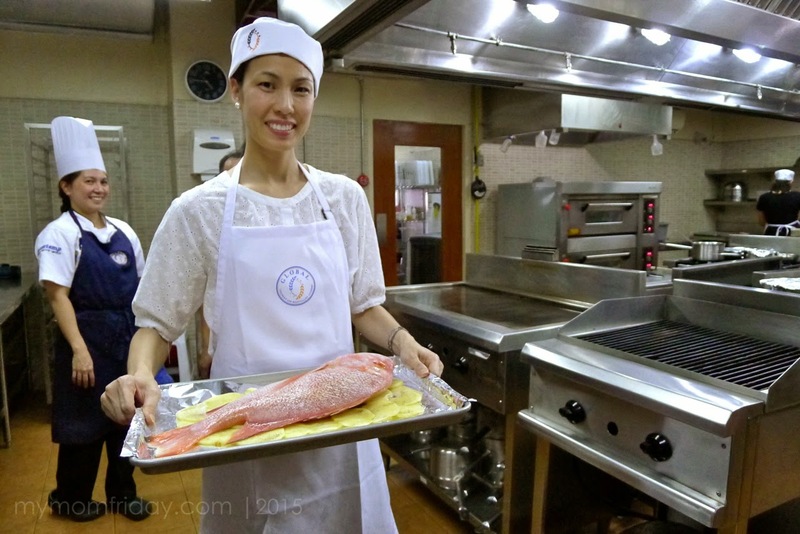 I also cooked the white rice, while chef already prepared the burghul wheat for everyone. While the muffins were baking. Neva proceeded to prepare all the ingredients for the pilaf. The rice was already cooking in the pot so I began searing the chicken. Marinating should take at least 2 hours, but we had to make do with just several minutes to beat the clock. While waiting for the chicken and rice to cook, I laid a bed of thinly sliced potatoes on a tray for each fish. Remember, each of us will get a whole fish to bring home. While I scored and seasoned the fish, Neva helped me with the vegetable and stuffings as well. She also mixed the vinaigrette, and tossed the cooked rice and burghul to finish the pilaf. 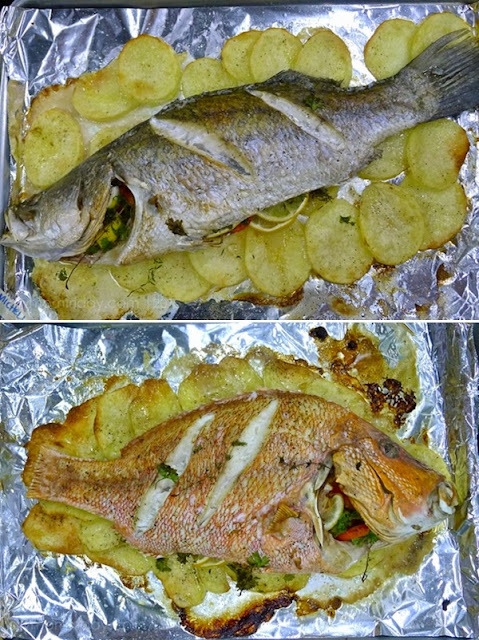 The whole barramundi and maya-maya fish went into the oven. 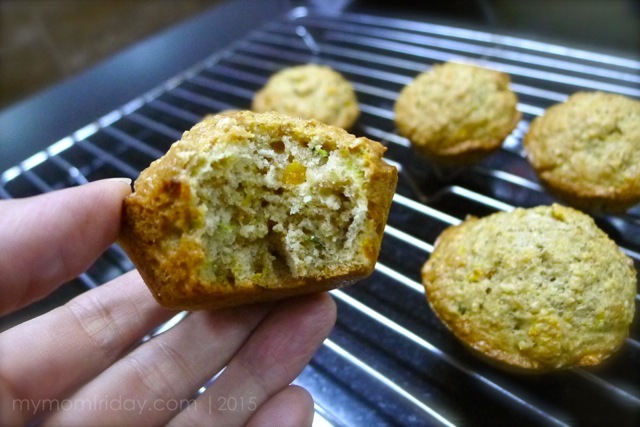 Muffins were done, moist and dense... so good! 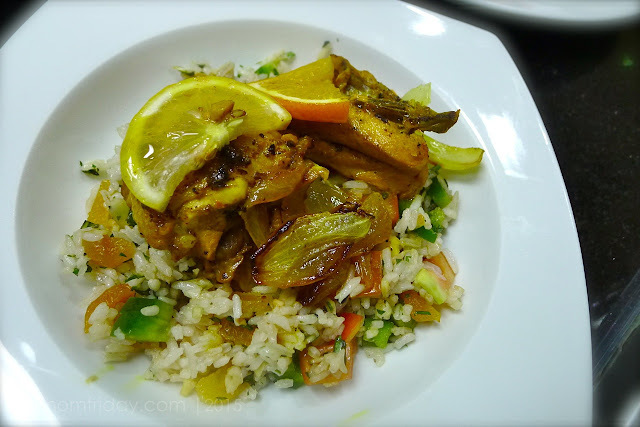 The citrus chicken and rice pilaf were all done. The last to come out was the fish. We both forgot to bring food containers so we just wrapped our take-home dishes in foil. 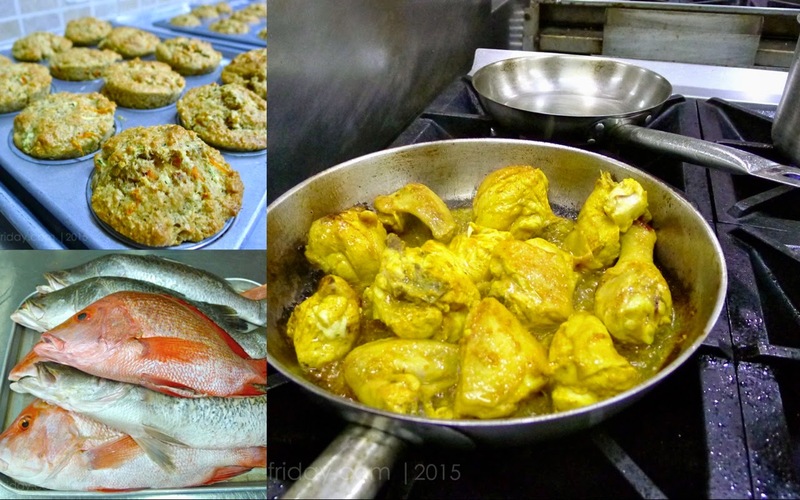 We chopped the fishes in half so we can taste both, and also split the chicken and the tray of muffins. May ulam na kami for the next day! 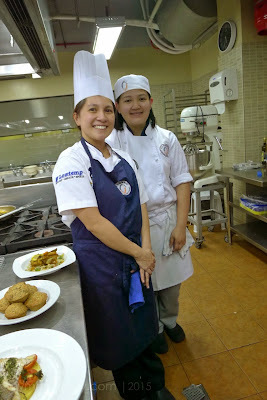 After our hands-on workshop, we definitely gained more respect and appreciation for all cooks, chefs and kitchen staff. 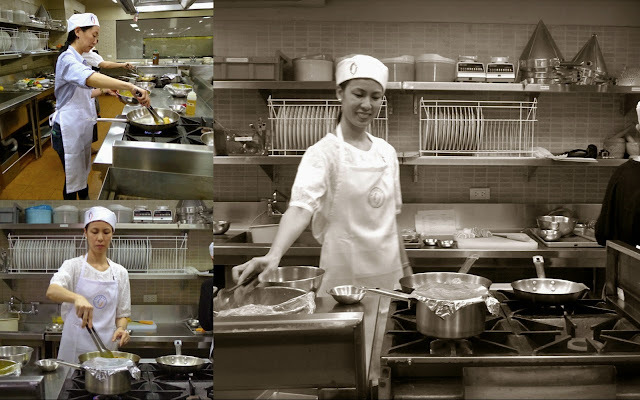 So much hard work and lots of organization are needed to run an efficient kitchen, especially in a restaurant. As an afterthought, the "Chef" title has been loosely used and abused -- kahit graduate ka ng culinary arts, hindi automatic chef ka na. I've spoken with a few chef friends before and one really has to earn that title. Work your way inside the kitchen, get internship and go through the ranks, and train under great chefs. 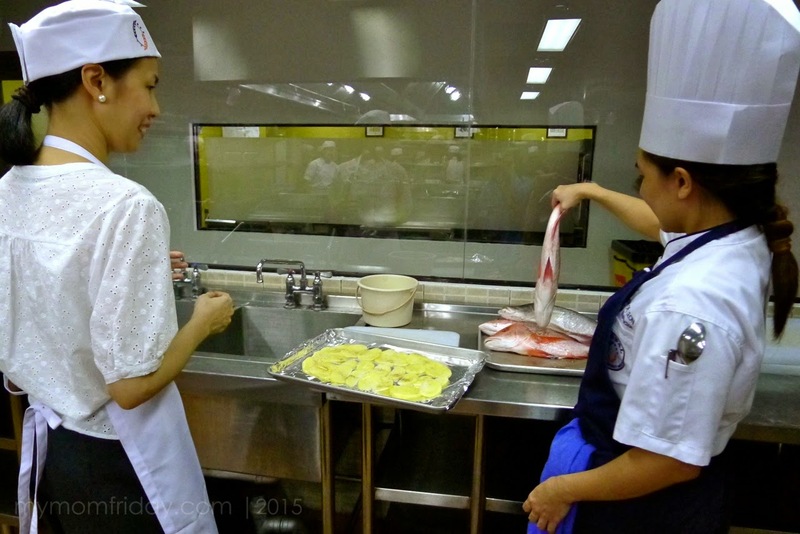 Enrolling in a prestigious culinary school like Global Academy is a good start. For home cooks like me, I recommend enrolling at Global Academy's Epicurean Lab which offers short courses like demo and hands-on workshop. The courses are very thorough, with helpful tips from cooking to kitchen tools. 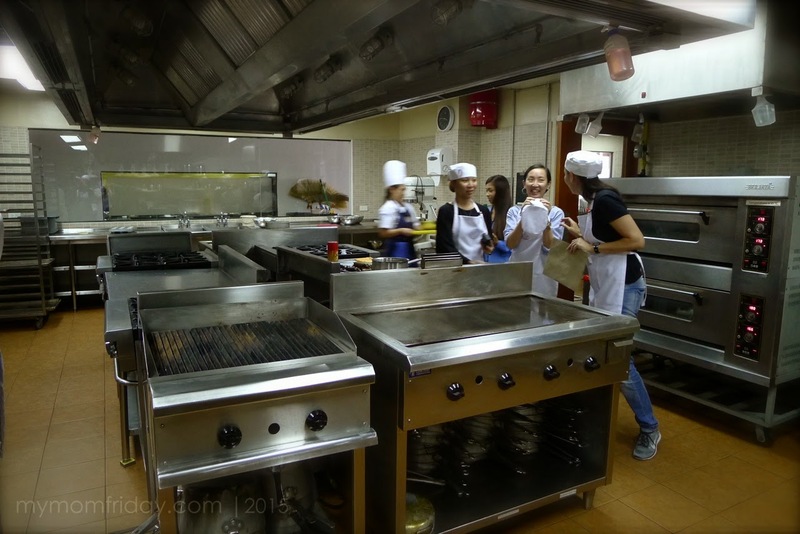 You'll get a feel of how professional kitchens are run, and you'll also be able to bring home the whole serving of all the dishes prepared, not just a sample portion of it. Sulit! 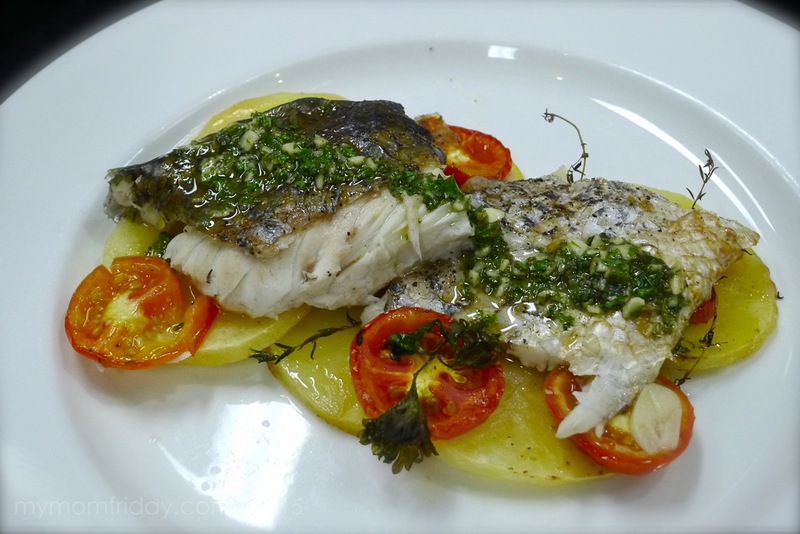 Epicurean Lab is also adding seminars called L.I.F.E. 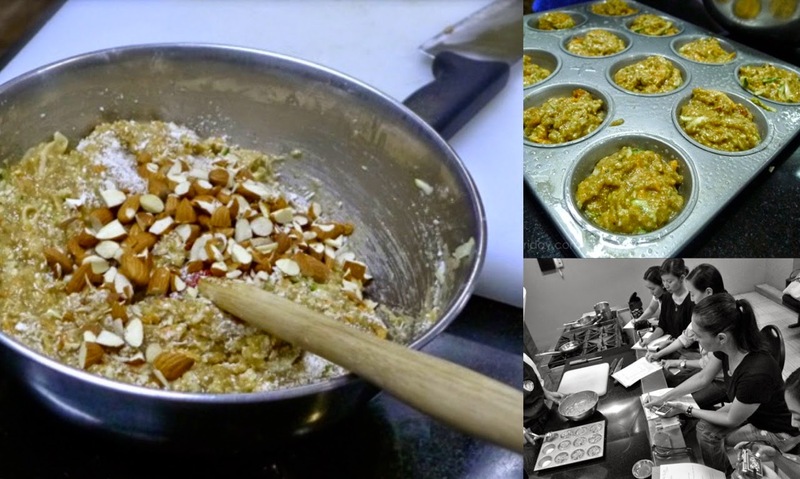 (Lessons in Food Entrepreneurship) - for aspiring food entrepreneurs who want to put up their own food business. 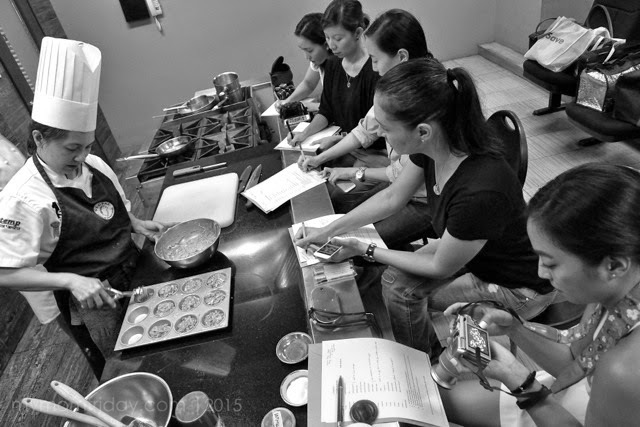 Global Academy will hold different Epicurean Lab classes, cooking demos and workshops this June until November. 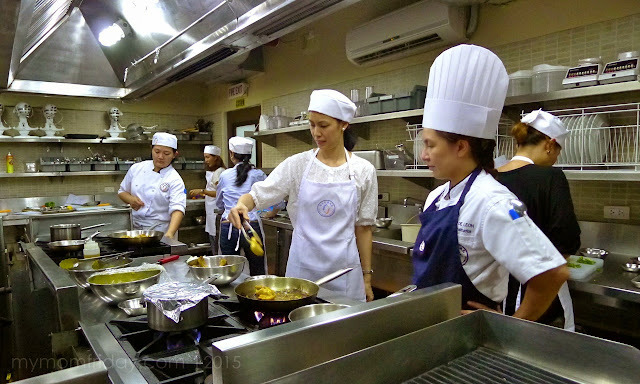 Learn more about GLOBAL ACADEMY and it's various culinary courses and offerings at www.globalacademyph.com.